There was only one topic of conversation on site this weekend. 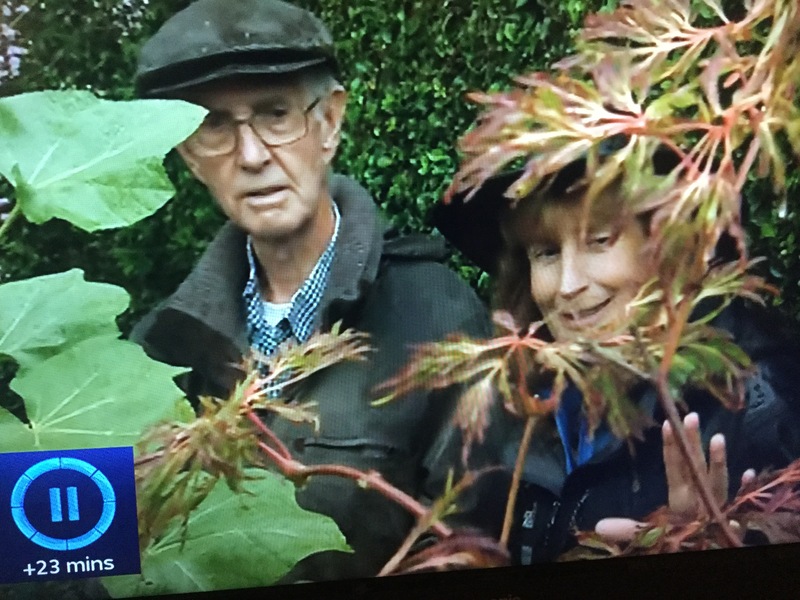 Everyone was talking about Sandy Inkster’s appearance on Beechgrove Garden. It was wonderful to see the Beechgrove team’s recognition of Sandy’s expertise and knowledge when they visited on the occasion of his winning the P&J Garden Competition for the whole of the North East. It was lovely too to see the warmth of Carole Baxter’s appreciation of Sandy’s efforts in his ninetieth year and the esteem in which she clearly holds him. I am sure we all want to join in offering hearty congratulations to Sandy and his wife. They have built a garden the rest of us can only dream of having. And so say all of us!! It was a wonderful way to end the last programme of this series with a fantastic insight into Sandy and his wife’s garden. Wow, is all I can say!! Their garden is absolutely stunning and Sandy is a natural when being interviewed, his gardening skills and true passion shining through!! He’s our Garthdee celebrity and hopefully with pass on his expertise to us all for many years to come!! Best wishes, Susan and Phil.